This vacation route has a wonderful name. 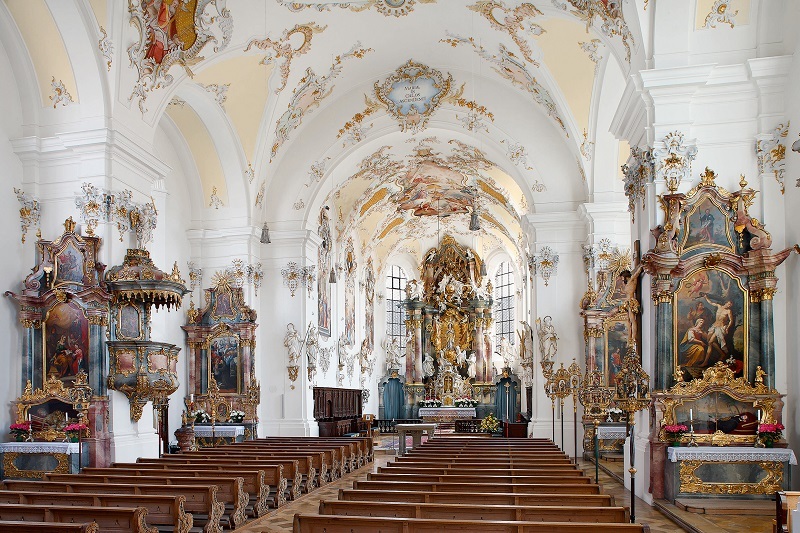 The Romantic Road is Germany’s most famous vacation route. 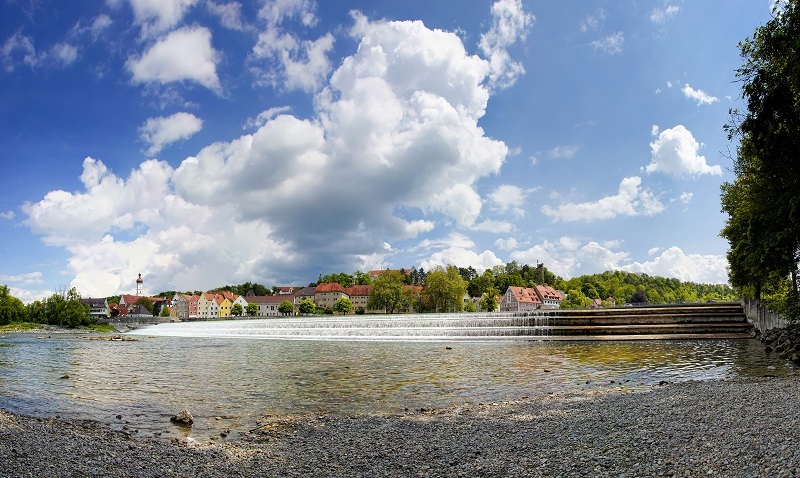 It’s no wonder when it makes it possible to experience all the diversity that Bavaria has to offer. 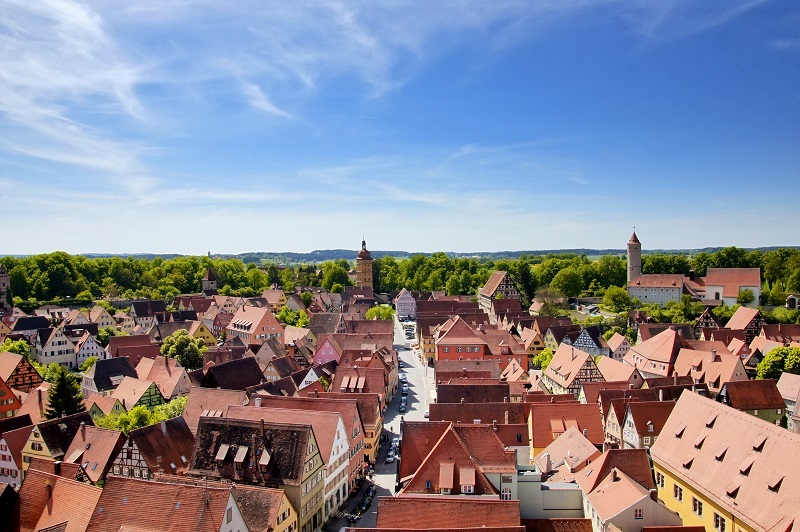 The highlights alongside Rothenburg ob der Tauber include Würzburg, with its residences and wine, the Medieval towns Dinkelsbühl and Nördlingen, as well as Bavaria’s third-largest city Augsburg, and Landsberg am Lech. 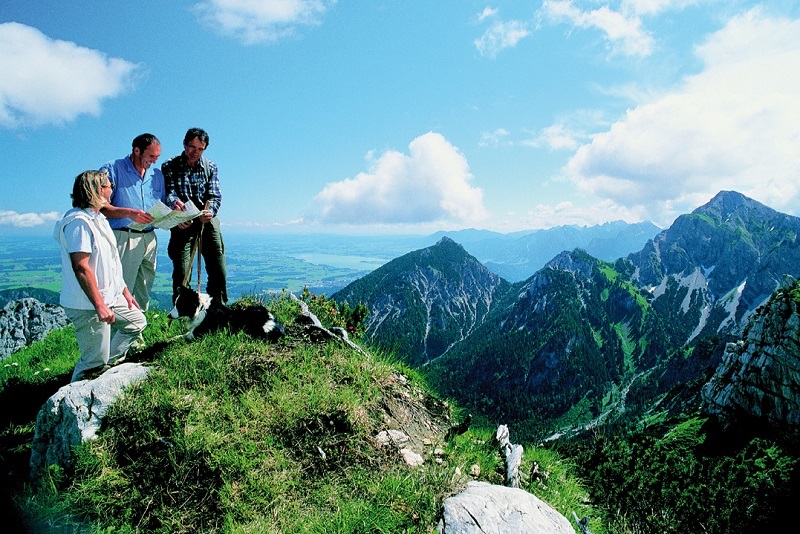 The southern most point and the beautiful postcard scenery is naturally Neuschwanstein near Füssen with its panoramic view of the Alps in the background. Traveling the Romantic Road under your own speed is not a problem thanks to the excellent signposting – whether you’re traveling by car or on bike. 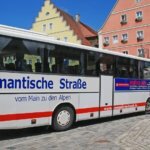 A somewhat different experience is traveling by bus along the Romantic Road. Those who prefer to go on foot are well served by a hiking map. 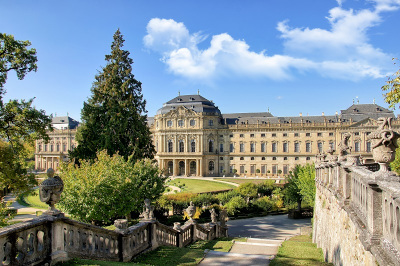 This includes long hiking trails along the Romantic Road for many places (such as Rothenburg ob der Tauber) as well as a circular route that’s easy to complete in a day. From April, 3rd to October, 30th, the Romantic Road Coach runs on Wednesday, Saturdays and Sundays along the Ferienstraße in both directions. The detailed schedule you will find here.